AFTER 1918, IN the ruins of the Austro-Hungarian Empire, certain individuals were trying to find formulations which clarified their labours, dispensed with every species of cant and superfluity, and got down to the bare essentials. In Vienna Sigmund Freud tried to understand how an advanced civilization could have set about destroying a whole generation, using the latest means of automated technology, and advanced studies of poison gas to do it. What did that tell us about the collective European psyche? His fellow Viennese Ludwig Wittgenstein completed his Tractatus Logico-Philosophicus, which states in a series of pellucid propositions precisely what might be said, logically, and what might not be said at all. And over in Prague, the capital of Bohemia, Franz Kafka, wrote daily towards his death, which would be only a few years in coming. What he was writing looked like fiction turned inside out; fiction divested of all its customary accoutrements. If one wanted to take a single text which might exemplify the endeavours of all three, it could be a little parable by Kafka. There is a feast in the temple. Food and wine are provided, and each year the leopards, sensing something to be devoured in the sacred compound, break in to the temple and devour the ritual provisions. Finally, this intrusion of the leopards into the temple becomes so much a part of everyone’s yearly expectations that it is incorporated into the temple ritual itself. How are we to tell the bona fide ritual from its encrustations and additions? How are we to know how it all got started, and whether the leopards were there in the beginning or not? Wittgenstein wanted to trim logical language to its minimal possibilities; to say precisely what can be said, neither more nor less. Language, when it was actually articulating meaning, was an expression of logical form. Each statement pictured and expressed logical relations in logical space; it formed a picture of the world of meaning. Simultaneously, Freud took the dream and insisted it had a meaning; that it was indeed the royal road to the unconscious. But it would not reveal that meaning without a struggle. It provided us willingly only with its manifest content. To locate the latent content riddled inside the hermetic core required analysis. And the analysis had to remain aware that the dream was produced through a combination of overdetermination, condensation and displacement. No symptom, or symptomatic utterance, ever had only a single cause. Psychic pressure forced many disparate factors into the one manifold, and the chain of signification often pushed signifiers a long way down the signifying line. It is hard, perhaps impossible, to recall that the leopards weren’t always there, since they crouch so convincingly here now. More than three centuries back, the Reformers had attempted a similar journey in terms of religion. What exactly had Jesus said and meant before the Church converted his preaching into a vast machinery of sacraments, adoration of saints, sacred reliquaries, Mariolatry, and purgative donations? What had the ritual consisted of, before the leopards and Brother Tetzel arrived to be incorporated into it? THERE IS ANOTHER parable by Kafka, which might be equally relevant. He reports how, in the kingdom of crows, it is claimed that one crow could lay waste to heaven. This seems inconceivable, says Kafka, until you remember that the definition of heaven here is: absence of crows. The entry of a single crow would therefore destroy heaven’s means of understanding itself; its structure of meaning. And so heaven would be no more. It would have been invaded by the one item which proved beyond doubt that, whatever identity it now had, it could no longer call itself heaven. Not if it were to retain any respect for language; or the logical form language must express. Unless, of course, it could somehow graft the inclusion of the crow into its primeval memories, confuse the originary ceremony with so many later enactments, in which case – by overdetermination, condensation and displacement – it could insist that the manifest meaning of heaven was now indistinguishable from the latent sense underlying it. And in which case, tradition and origin would merge, as they so frequently do. You cannot get into the temple without negotiating (and feeding) the leopards. It was ever thus. We could borrow Kafka’s parable to explain why modern physics never mentions God. Such an appeal would surely have to discard Heisenberg’s indeterminacy principle, which cannot be so discarded. If it is part of the definition of God that he must be omniscient, must know all, then He would have to know the velocity and the precise position of the particle at the same time. But the mode of thinking that is modern physics, where we are now domiciled intellectually, says this is impossible. The knowledge of one is in inverse proportion to the knowledge of the other. If one crow would abolish heaven, then one consciousness knowing the velocity of the particle together with its precise position would abolish physics. And the abolition of modern physics would be the abolition of us, intellectually speaking, since our understanding of ourselves and our world is founded upon it. The terms of thought of modern physics are governed by the double-slit experiment and Heisenberg’s ontological indeterminacy. One single deity, knowing what cannot be known, would lay waste to science, as that one crow laid waste to heaven. But would it really be a deity, or merely that wizened little hunchback inside the chess-playing automaton? Metaphysics creeping in, as so often, through the trap-door? Kafka developed a method of writing which appears rigorously truthful in its texture, in each of its manoeuvres, whatever its findings. And with this method he took traditional forms, the fairy tale, the parable, the legend, and pressed the experience of modernity into them. New wine was decanted into old bottles. And the result was a series of perfectly delineated questions, to which no satisfactory answer could ever be given. His language achieved such authority that it was described by both Walter Benjamin and Gershom Scholem as canonic. What this canonicity of method and tone meant, Benjamin and Scholem argued over for some years, between 1934 and 1938. Initially Benjamin made a mistake. He said that there was no Law to be found in Kafka’s world. Scholem put him right on that. Benjamin finally understood Scholem’s objection and replied authoritatively in his great letter to Scholem of 12 June 1938. Kafka’s world, he realised finally, is full of Law; but there is no effective way of getting at it. It is inaccessible. Benjamin and Kafka used specialist Jewish vocabulary to express this situation and dilemma. The Halakah comprises the Torah and codifications of law such as the Mishnah. The parallel and intertwined means of its transmision is Haggadah. Crudely, the Law, the Halakah, is the written Law of Torah; the means of its transmission is the Haggadah, the oral means of expounding, glossing and conveying this Law to the faithful. 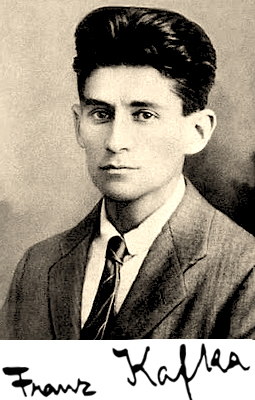 Kafka’s world is unable to get at the Law itself, so said Benjamin; he accepted that the Halakah could not be finally approached, and modernity had to make do with the techniques of Haggadah, without the content which that tradition had been inaugurated to convey. According to Benjamin, Kafka chose the means of transmission over the Law itself, which had initially been the object of that communication. And so his writing is canonic in texture, weightiness, and mode, but there is no Law that can be conveyed by it. It is like an allegory that has lost its index of referents. Or a commentary that has lost the scripture it was originally designed to comment upon. All that could be gleaned from such midrashic endeavours was the mode of communication itself. ONE SHORT STORY by Kafka exemplifies this perfectly. It is called ‘Before the Law’. Here the pilgrim does all that might be expected of him in a single lifetime. He gets himself to the door where the Law might be encountered. He waits there dutifully until his death. Only when he is finally dying is the door at last closed, for this entrance had been constructed solely for him. He even sees the light of revelation on the far side of that door, glimmering away, but he can never pass over the threshold, so as to encounter it. Like Moses on Mount Pisgah, he can see the promised end, but there is no means to achieve it. The Halakhah (or revelation) is indisputably there, but there is no means for it to be transmitted to him in this lifetime, in this world. The techniques of the Haggadah (or means of transmission) will have to be employed without the guiding content which initially vouchsafed its endeavours. This, it would appear, is the condition of modernity; an alienation from the source of truth, however desperate one’s search for it. One understands in fine detail the principles of cartography, but there is no longer any journey to be compassed or accomplished. 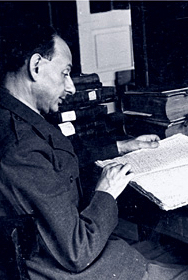 It is nothing short of remarkable that both Benjamin and Scholem regarded Kafka’s work as canonic, since it was generally held that the last definitively canonic works produced in the Jewish tradition had been the Lurianic Kabbalah of the sixteenth century, in Safed in Palestine. And yet, if they agreed upon nothing else about him, they were both in agreement about this. We can perhaps see why, in another of Kafka’s texts, ‘In the Penal Colony’, a work published in 1919, the same year that Freud was working on Beyond the Pleasure Principle. In that work, Freud struggled to understand the massive festival of death that Europe had been hosting for the previous four years of the Great War. He formulated here his notion of the death drive, or Todestrieb – though he normally employed the plural, Todestriebe. He had come to believe that this vast machinery of war must find an echo in the psyche. That there must be some psychological machinery committed to death, a force or drive beyond the pleasure principle, a force that was to Thanatos what libido was to Eros. He even sketched a possible nomenclature: Mortido perhaps, or Destrudo. It made everyone uneasy, and never caught on, though Freud seems not to have relinquished it. Ernest Jones pointed out, years after Freud’s death, that the notion was incompatible with everything biology had ever discovered about the instinctual life. And yet Kafka at the same moment was trying to delineate his own machine of death, a machine tended with religious devotion by the same devotees who would ultimately be fed into it. ‘In the Penal Colony’ presents us with a voyager travelling in distant lands, like Gulliver in Swift’s novel. What he comes across is a form of execution which is a lengthy enactment of the law through torture. In that, one might say, it bears a striking resemblance to crucifixion in the Roman Empire. The machine of death is tended by the officer, and the officer endlessly laments the loss of tradition. The new commandant has little respect for the old ways. He is letting things slip. Here we see that ‘decay of experience’ which Benjamin insisted was the condition of modernity. Such a decay of experience jeopardises tradition, and damages Erfahrung (deep experience together with deep memory) while promoting Erlebnis (the more shallow experiences and equivalent memories of modernity), and therefore the immediacy of shock-effects, the superficiality of instantaneous effect. The officer tries to enlist the voyager’s assistance in lobbying the new commandant, and trying to get him to return to the old ways – more respect for the lethal machine, and the ceremonies that have always surrounded it. In this land, the condemned are not tried; they are simply condemned. The machine spikes into their body the law they have broken, and in the process kills them. At the conclusion of the story the officer, dutiful apostle of the mechanical principle of Mortido to the very end, submits himself to death by writing via the ministrations of this deus ex machina. He is written to death. The message imprinted upon him is: Be Just. The letter of the Law can only find an adequate means of transmission on the body itself. 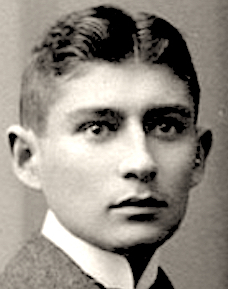 BENJAMIN THOUGHT KAFKA was escaping interpretation in his writings. That he was managing to invent texts which could not be automatically translated into the hermeneutic world of the interpreter. Such resistance to interpretation made such writing effectively scriptural, and a scriptural text, for Benjamin, is characterised by its inexhaustibility, escaping the templates of cultural genre and expectation. 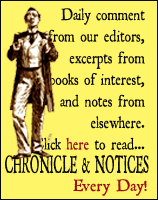 Before the audience can provide its imprimatur, the text cancels any right it might ever have had to do so, by its own writerly techniques of escapology. If a hermeneutic system can swallow a text whole, without any modification of its own epistemic foundations, then it has conquered the text. The text is meekly translatable into the larger system it enters; it has offered no ‘shock’ to that system. Sacred scripture never permits itself to be limited by the extant terms of its interpretation. The reason Benjamin was fascinated by, for example, Surrealism, was that it appropriated for itself this function of the sacred text; it refused any delimitation of itself by the surrounding aesthetic or ideology. It absorbed the conditions of the world into itself and reissued them as the terms of revelation; in this case, a profane illumination. It would not be merely translated into the existing tradition; that tradition, broken open, became its apocalypse. The interpretation of the text is already contained inside it. Benjamin spoke of how great works only survive as ruins. The elevations of temporal detail and intellectual fashion fall down in time, leaving behind the groundplan of the work’s conception. Hence his parallel between ruins in the world of things and allegories in the world of thought. Benjamin’s use of the term allegory is individual, to the point of being sui generis. For him the allegorical is the way in which the universal finds expression in the particular. It is the ‘objective correlative’ in artistic form of constellations in the world of philosophic and religious thought. If the work is potent enough, then its reduction to its own groundplan, its ruining of ‘the great works of time’, will effect a clarification. The forces portrayed now articulate themselves without the clutter of ephemeral reference, that aspect of writing which requires a glossary and a commentary, rather than a critique. Now Kafka was perhaps the greatest self-ruined writer who ever lived. He knocks down his own elevations before time can beat him to it. In the case of ‘In the Penal Colony’, the materiality of writing ceases to be by the body via a machine, and becomes instead writing upon the body via a machine, a machine that has been lovingly tended over the years by the body in question. The body here becomes its own parchment, encoded with the letter of the law; or its own papyrus, inscribed with the glyphs of transmitted meaning. A sacred text for Benjamin is the trace of a disappearance; it is the ruined remains of a presence which had once uttered itself in a pure language no longer available to us, either in audible or written form. Kafka’s writings, particularly some of the shorter texts like the parables, manage to mimic this effect of language as the reliquary of a vanished sacred force. The messianic moment is for ever gone, but it leaves mnemonic notes regarding the manner of its departure, thus announcing the possibility of its recurrence. In our world the gods are for ever gone too, but we can only understand the shape of our predicament by reading the modern landscape in the light of their departure. THE OFFICER IN ‘In the Penal Colony’ is priest and martyr to his own sacramental machinery. He lovingly maintains the machine that is the sacred monster of his world, shaping its space, structuring its time, dictating the lethal liturgy that constitutes life’s cycles. He finally feeds himself to his own hungry god, so that the letters of life, and the letters of death – the law in short, its alpha and omega – can be inscribed upon him, in a final act of voluntary immolation. He is a faithful servant of the cult, until the cult consumes him, keeping faith with itself as it does so. The Torah was the text of life, but it also supplied the conditions of death. The penal colony’s machine contains all the terms of execution, which is the machine’s form of promulgation of the law. It has no use for the category of mercy. And the officer’s ultimate ruin is the machine-god’s elevation. In this ruin is truth ultimately expressed, without the clutter of any ephemeral chatter. No commentary is needed; death’s critique is entirely intelligible. The ruins have expressed their own allegorical clarification. The inert body has been impressed finally with the truth. The facial features of homo sapiens sapiens made more and more space for the eyes. We had to look intently to survive. In King Lear the blinded Gloucester is advised to smell his way to Dover, but he would have found that difficult, a lot more difficult than his dog. Seeing was now so much more significant than smelling, and our physiognomies displayed the fact. Out we stared, upright, bipedal, bimanous, with our opposing thumbs, alert to all threats and possibilities. Kafka, in his photographs, looks like an evolutionary warning to the world’s imagination. Our eyes will need to be even larger, if we are ever to see what is actually going on. His own seem set to swallow the rest of his features. The man who worked for the Workers’ Insurance Company in Prague, and wrote through the night, confronts us with the vast, dilated gaze of a lemur. His eyes have grown big enough to uncover the hours of darkness. When we look at his features we see an optic nakedness. The killing machine of the Penal Colony is both analeptic and proleptic. The trenches of the Western Front were not so far from the Colony. They became a huge machine of death. Even as Kafka wrote the story, he was processing claims for his insurance company, which frequently involved men and women who had been mangled by industrial machines. And two decades later the machinery of the death camps would be needling numbers into flesh. Numeric stigmata for the soon-to-be-immolated. Sacrificed in the name of justice. For a heavenly kingdom of racial purity which the existence of a single Jew could threaten, as a single crow had threatened the corvid kingdom in his parable. 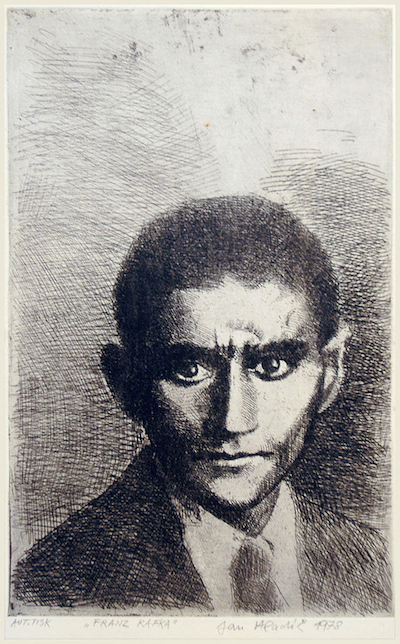 Kafka’s name in Czech means jackdaw. IT SOMETIMES FEELS as if Kafka has stepped out of one of Freud’s analytic sessions, dressed in moleskin, and blinking his vast eyes against the light. Benjamin made references to Freud from time to time, but remained committed to the notion of the humoral condition of melancholy, and was happy to describe this creative curse in terms of its planetary influences. There is a curious incident reported of Wittgenstein. During the Second World War, Elizabeth Anscombe, who was an admirer of Kafka’s, lent Wittgenstein his novels. On returning them, Wittgenstein said only one thing: ‘This man gives himself a great deal of trouble not writing about his trouble.’ The accusation would appear to be one of evasion. Perhaps Wittgenstein thought that all Kafka’s tormented metaphysical enquiries were an attempt to escape the rudimentary psychological enquiry that might have located his essential problem. Freud would presumably have agreed. And yet if the Todestrieb had a home, it was surely inside the immolation mechanism of ‘In the Penal Colony’. Within those cogs, wheels and spikes, Thanatos reigned. Alan Wall was born in Bradford, studied English at Oxford, and lives in North Wales. He has published six novels and three collections of poetry, including Doctor Placebo. Jacob, a book written in verse and prose, was shortlisted for the Hawthornden Prize. His work has been translated into ten languages. 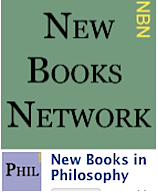 He has published essays and reviews in many different periodicals including the Guardian, Spectator, The Times, Jewish Quarterly, Leonardo, PN Review, London Magazine, The Reader and Agenda. He was Royal Literary Fund Fellow in Writing at Warwick University and Liverpool John Moores and is currently Professor of Writing and Literature at the University of Chester and a contributing editor of The Fortnightly Review. His book Endtimes was published by Shearsman Books in 2013, and Badmouth, a novel, was published by Harbour Books in 2014. 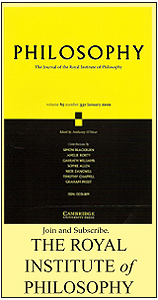 A collection of his essays has now been issued by Odd Volumes, The Fortnightly Review’s publishing imprint. This Fortnightly Review article is filed under the following rubrics: Dossier: Reflections on Walter Benjamin. Publication: Monday, 8 June 2015, at 09:41.